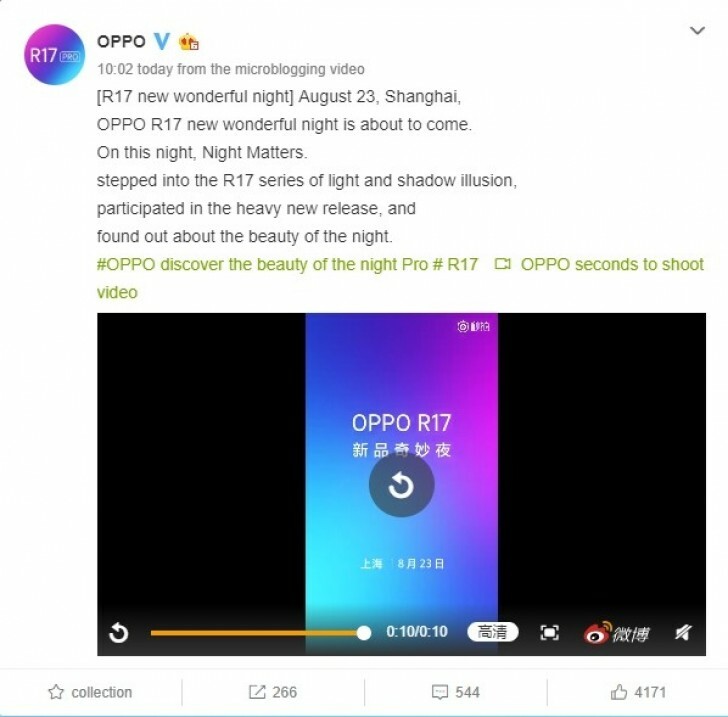 Oppo just set a date for the official announcement of its mainstream flagship, Oppo R17 after revealing all the key specs of the device through the official website. The site says that pre-orders start at 10:00 AM on August 18 but the actual shipments, according to Oppo's official Weibo account, will begin on August 23. The teased specs of the R17 seem tempting and we can't wait to see how the in-display fingerprint performs in real-life scenarios. Is oppo's R series and F series the same?